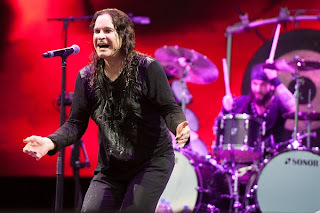 Black Sabbath will accompany their new album 13 with at least four North American tour dates this summer: the veteran rockers have booked shows in New Jersey, Toronto, Seattle and Los Angeles. The new album will be Sabbath's first with Ozzy Osbourne since 1978's Never Say Die! Rick Rubin is producing the new eight-song LP, which is due June 11th. Before that, the heavy metal pioneers will premiere new song "End of the Beginning" on the season finale of CSI and, according to Billboard, will debut the first single, "God Is Dead?" on Clear Channel radio stations this Thursday.